In 2013, when she was Home Secretary, British Prime Minister Theresa May wrote in an editorial for the Telegraph, “It is walking our streets, supplying our shops and supermarkets, working in fields, factories, or nail bars, trapped in brothels, or cowering behind curtains in an ordinary street: slavery. Something most of us thought consigned to the history books, belonging to a different century, is a shameful and shocking presence in modern Britain.” This was the preamble to the process that saw the introduction of the Modern Slavery Act 2015. The rest, as they say, is history. Or is it? There has long been an unspoken suspicion of a darker reality behind the high street—that our slavish drive towards fast fashion itself encourages modern-day slavery in other parts of the world as businesses chase lower-cost manufacturing locations in order to drive higher margins. Fast fashion, it has been argued, could be an enabler rather than an inhibitor of slave labor. Whereas a few years ago the average wardrobe life of a garment was over three years, it is now, according to the British Waste and Resource Action Programme (WRAP), just five weeks as cheap clothes are disposed of after a season. Horrible as it is, the prevalence of slavery in the modern world is not surprising considering how profitable it is. Slavery is the third most lucrative trade in the world, after arms dealing and drug trafficking, and generates $141 billion for those involved in the trade of human misery who target the vulnerable, often those already exploited people fleeing war-torn areas of the world in the hope of a better life. Businesses are now exploring new strategies to minimize the supply-chain risk attributed to slavery and labor abuse. Most interestingly, company leaders who provide a strong vision and support for ethical trade and modern slavery issues make more progress in eradicating slavery. Furthermore, companies that are aligned in their response to slavery are more likely to drive a business culture where employees are able to have open discussions regarding responsible sourcing. Companies are also wising up to methods that aren’t as effective. While audits have long been a staple of supplier relationships, most businesses admit that they are only partially effective in identifying instances of labor abuse, despite the fact that the biggest challenge that companies face in tackling modern-day slavery is the lack of supply-chain visibility over their suppliers. This means knowing where each component of a product is sourced from, which for multi-merchandise retailers is easier said than done. And it needs to be backed up by an improved understanding of how to spot the signs of labor abuse and exploitation, incorporating such awareness into audit regimes. The United Kingdom’s Modern Slavery Act 2015 (MSA) recognised the responsibilities of major companies (those with a turnover higher than £36 million, or ~$42 million), requiring them to produce statements outlining how they intended to tackle and monitor the risks of modern slavery within their own organizations over the next twelve months. But the MSA was not the universal panacea to resolving the terrible trade. While a noticeable few businesses had gone beyond the requirements of the act to set up task forces to stamp the issue out in line with their own CSR programs, a more recent study from Segura showed that only five of 53 retailers that should have published their MSA statements by October 30, 2016, successfully made the deadline. For the statements that have been produced, a trend has been noticed. The statements’ contents were analyzed by law firm Shoosmiths, which suggested that MSA compliance is simply a “cut-and-paste job” with different statements having “identical wording.” The lack of urgency with the MSA is not surprising when non-compliant companies are unlikely to face penalties for failing to outline their intended actions, so enforcement is a real issue. Kevin Hyland, the independent anti-slavery commissioner, announced at the Modern Slavery and Ethical Labour Symposium that although sanctions may be imposed on non-compliant companies in the future, currently no such punishments are likely to occur. The concept of modern slavery can take many different forms including forced labor, human trafficking, exploitation, forced marriage, and domestic servitude. Within the fashion industry, slavery and child labor have been found incorporated across supply chains around the world. 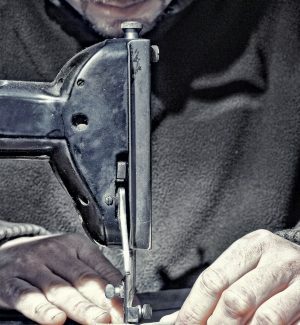 A recent BBC Panorama investigation found Syrian refugees being exploited in factories manufacturing clothes for household-name retailers with both large physical and online estates. Tackling modern slavery should be more than just a legal obligation. Creating a more transparent supply chain whereby risks of modern slavery can be identified has multiple advantages for retailers. Brand image is essential for any major retailer. The failure to comply with legislation and create a more ethical organization that overtly shows effort in tackling human rights abuses could lead to issues of brand protection. With the likes of Gap and H&M trailblazing the eradication of unethical practices within the fashion industry, if other retailers don’t catch up, they’re sure to get left behind, according to Sugura. The evidence that an unethical supply chain can negatively affect brand reputation can be taken from Nike’s tarnished reputation in the late 1990s. With Phil Knight (Nike’s co-founder) admitting in 1998 that the brand had “become synonymous with slave wages, forced overtime, and arbitrary abuse” came a tarnished reputation that led to a 70 percent fall in earnings. Of course, it is far from just the fashion industry that is of concern. Agriculture is one of the major areas populated by people who fall prey to traffickers, and the products that they pick are likely to find their way onto supermarket shelves. In 2015, news outlets reported on concerns from workers in Spain about their treatment working on salad-growing farms supplying to the UK supermarkets. Similarly, the Covino farms scandal in Australia widely reported the exploitation of workers, where calls for licensing of employment agencies and action to tackle modern slavery are now being considered. Alternatively, they can be found in transportation or storage, the other “Cinderella” sector where transient workforces come and go or they depend upon agency workers, not all of whom have gone through employment screening. Because it has been seen as easy to get away with, many slave masters are brazen in their flouting of the laws and hide their labor abuse victims in plain sight, knowing that they will be unreported. Now, it is hoped, there is a gathering momentum among businesses to work with organizations to break the chains of enslavement by reporting suspicions, even if they are only suspicions. “Slaves to Fashion” was originally published in LP Magazine Europe in 2017. This excerpt was updated June 13, 2018.